Mobile casinos bring accessibility and convenience to playing online casino games, with more mobile-friendly games emerging as mobile technology expands. We explain how to play games for real money at a mobile casino via downloadable apps and instant-play, and the best mobile sites available for smartphone and tablet users. Read on to find out how to safely play games on the go. To play mobile casino games on the go, all you need is a data-enabled smartphone or tablet with a reliable Wi-Fi, 3G or 4G Internet connection. Games are compatible with a majority of all modern phone and tablet makes and models, including iPhone, iPad, Androids, Windows Phone, Blackberry, Samsung and many more. As long as your mobile device is equipped with HTML5 or Flash capabilities, accessing a mobile casino will be a breeze. Downloadable casino apps: Despite mobile casinos being widely available, very few offer downloadable native apps, as most players tend to favour the instant-play mobile format. 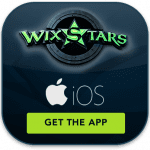 However, a couple of our top-rated online casinos, 32Red and Leo Vegas, do offer a downloadable app available for both iOS and Android users. These casino apps are free to download. Instant play: Instant-play is where games can be accessed directly over your mobile Web browser without having to download any software to your phone or tablet. Given the ease and accessibility of browser-based games, most online casino vendors and players now lean towards the instant-play option. You can also create your own Web-app from an instant-play mobile casino – simply bring up your in-browser settings and select the ‘add to home screen’ option and an icon of the casino will be sent to your mobile home screen for simple one-tap access. What casino games are available for mobile play? 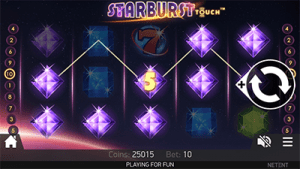 When mobile casinos first came into existence, the selection of games on offer was minimal, with most casino sites offering just a handful of the most popular slot games and perhaps one or two table game variants. Given how quickly mobile technology and smartphone accessibility is expanding, mobile casinos now offer a large range of portable casino games, with more titles being added all the time. 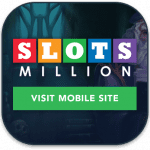 The selection of mobile-optimised casino games varies between each venue, but typically mobile players are now able to access a large variety of slot games, blackjack, roulette, baccarat, video poker, scratch cards and even some mobile live dealer titles. Is it safe to play at a mobile casino? While mobile casinos are protected by the same high level of digital SSL (secure socket layer) encryption utilised by desktop casinos, playing on your mobile can present some safety concerns if you are playing using a shared or public Internet connection. Always be extra vigilant when playing for real money on a shared Wi-Fi network – we recommend utilising a trusted VPN (virtual private network) service for an extra layer of security. Mobile casinos are basically a shrunken-down version of the full desktop venue, so you can expect to see the same designs, themes, promotions and customer service options available on both desktop and mobile. The major difference between desktop and mobile casino sites is the mobile version only offers a selection of the desktop game catalogue, so you won’t have as many titles to choose from when playing on your smartphone or tablet. As mobile casinos continue to grow with the market, the game gap is slowly closing, but for now if you’re looking for the biggest selection of games possible, stick with the desktop sites. 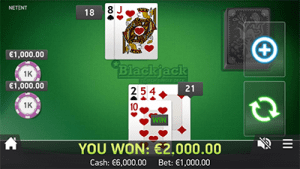 Casino games optimised for mobile play maintain the same high quality of graphics, sounds and features used in the desktop games and have simply been optimised for play on the smaller screen. Smartphone play will typically require you to flip your phone horizontally to expand the game, while mobile touch screens make it incredibly easy to set the size of your wager, move chips and place bets. Making a real money deposit to play games on the go is easy and will only take a couple of minutes. The same range of deposit options presented at a desktop casino will typically be available on the mobile platform, but in some cases a mobile casino may only offer a small selection of mobile payment options. Commonly accepted deposit methods include Visa, MasterCard, Neteller, Skrill, Paysafecard and direct bank transfers, but this will vary between venues and within different countries. 1. 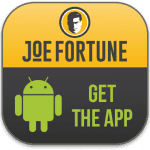 Use your smartphone or tablet to sign up for an account with one of our recommended mobile casinos in the table above, making sure to take advantage of any welcome bonuses available. 2. Tap to go to the casino’s banking page. 3. Tap to choose your payment method and follow the prompts to enter the amount of money you wish to transfer and complete your transaction. A majority of mobile deposits are processed on the spot, so you are now free to place real money bets on your favourite casino games from your mobile device. Our recommended mobile casinos also provide the option of playing for free in demo mode, so you can sample games from your phone or tablet with no risk to your wallet before deciding whether you want to commit to a real money bet. 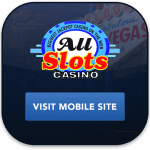 All Slots Casino – Powered exclusively by Microgaming, All Slots mobile casino offers a wide range of Microgaming’s top-rated casino games including some of the biggest progressive jackpot slots on the Web. New players who sign up via mobile can claim $30 for free to play with, with no deposit required. 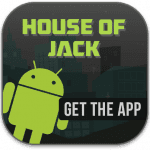 Jackpot City Casino – Offers a downloadable app as well as an instant-play mobile casino compatible with iOS, Android and Windows Phone. Unlike most other mobile casinos, a login is required to access JPC’s mobile site, but with hefty welcome bonuses available for new players there are plenty of reasons to register. Jackpot City offers a great selection of Microgaming’s most popular slots and table games for play on the go. Rizk Casino – Rizk offers one of the biggest selections of mobile slot games available from some of the leading software providers, with new games added regularly. Games are split into specific categories, making it easy to search for titles on the go. Rizk is also one of the few reputable mobile casinos to offer live dealer games optimised for smartphone and tablet play. Not all mobile casinos are available to all players, as offshore casinos use region-blocks to restrict access to players from certain countries based on differing laws regarding online gambling. For a full list of the websites available to players from your country, refer to our mobile casino table at the top of this page which has been geo-targeted to recognise your location and only recommend sites catering to your area.